There are many colours that are regularly combined which go together so well. Navy and white. Bright green and pink. Charcoal and yellow. Black and white. Red and blue. These are combinations that we have seen in use together for many, many years and just classic. They are the biscuit to the cheese, the icing to the cake, the scatter cushion to the sofa. Lately though, there are many new colours on the block that challenge our ideas of what works well together. Enter dark green, blush, peach, purple, teal and orange. They make up unlikely colour combinations that work. 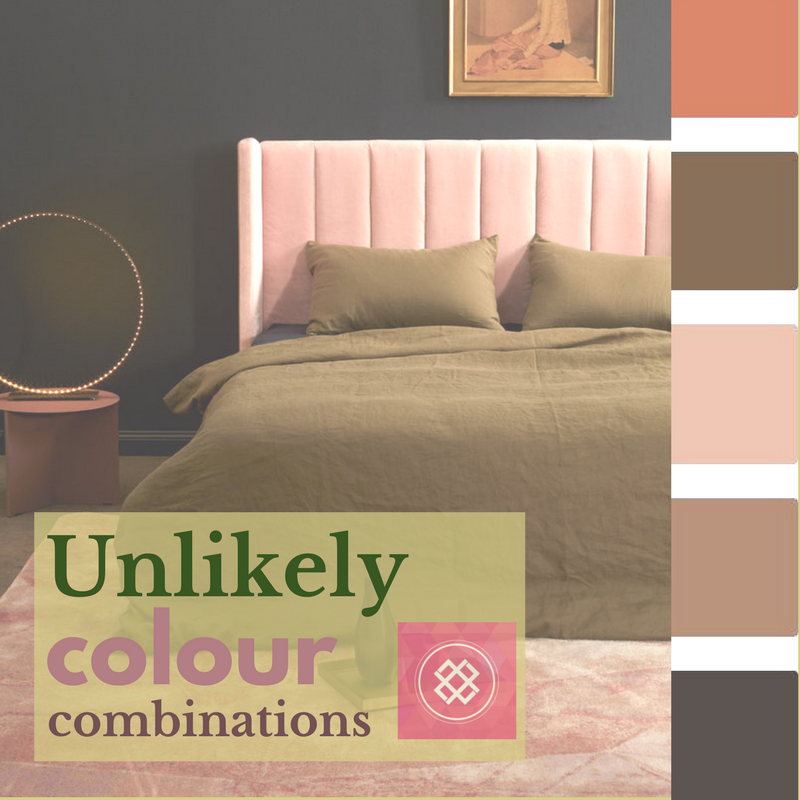 See my unlikely colour combinations that work below to see how you can do something a little different in your home…. Peach and purple?! YES. This combination is interesting as the intensity of these colours is quite similar. However, it works as the amount of purple/pink is far more than the more lively peach, which balances it out visually. I really like this combination. 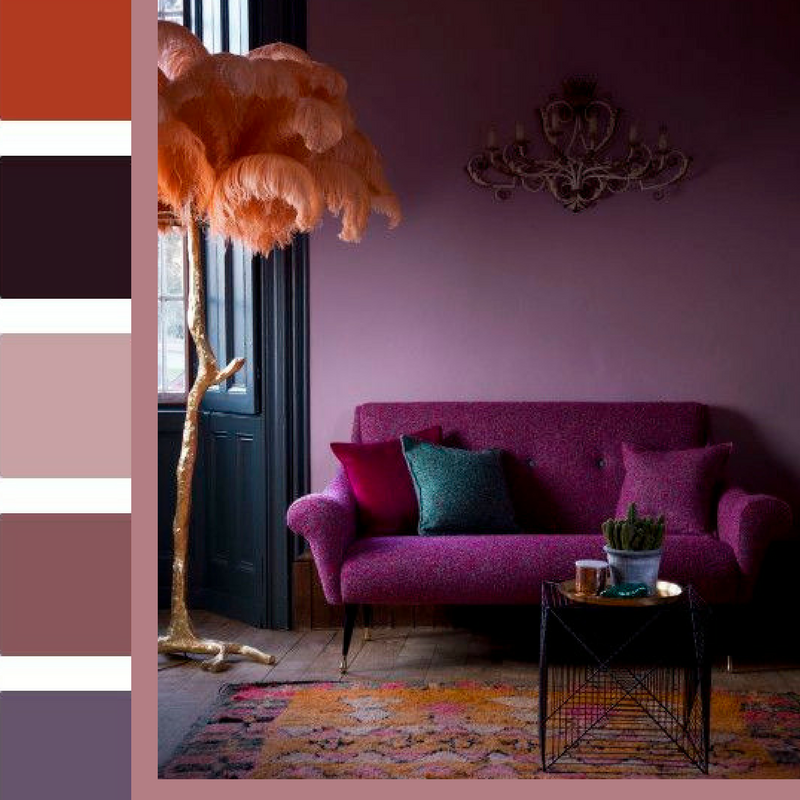 Even in a very neutral grey interior, a pop of peach and purple would look divine. Often pastels are paired with pastels. 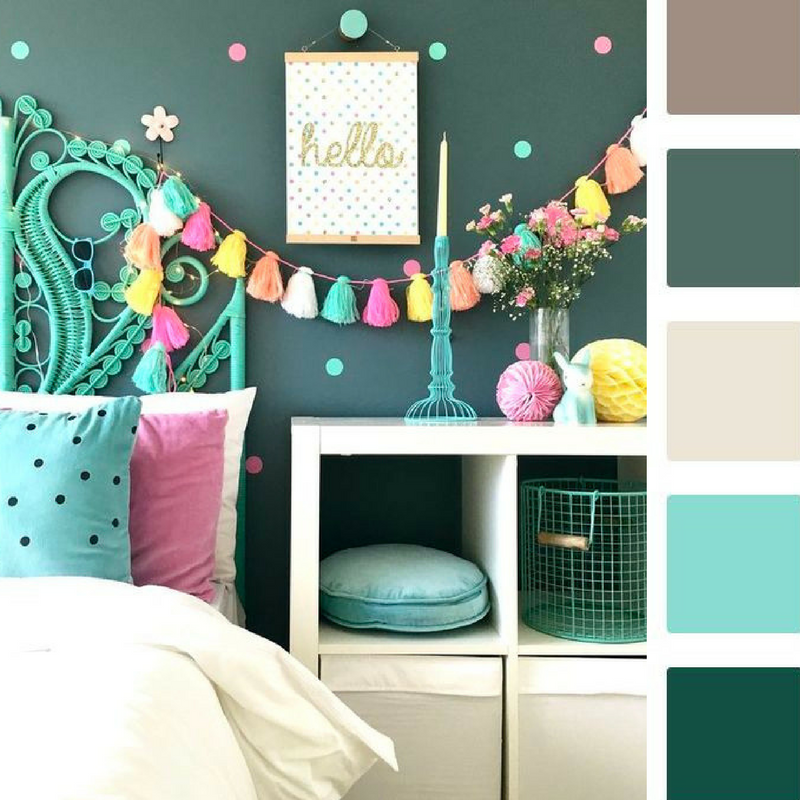 In this case, the pairing of the dark teal green is the perfect backdrop for pops of pastel pinks, aqua, yellow and orange. It’s a fresh and light combination, the pastel tones give life to the green that otherwise could look flat if it were paired with a dark colour as an accent. Pale dusty pink, khaki green and deep charcoal. Who would have thought that such a feminine pink would sit so comfortably with masculine khaki? Why does it work? Traditionally green and pink look fabulous together (red and green are opposite each other on the colour wheel). In this instance, the depth of colours are quite different (khaki is deep, pink is light) which means they are not competing with one another. Want to introduce some masculine tones without being brown, beige, or grey? Hello navy. 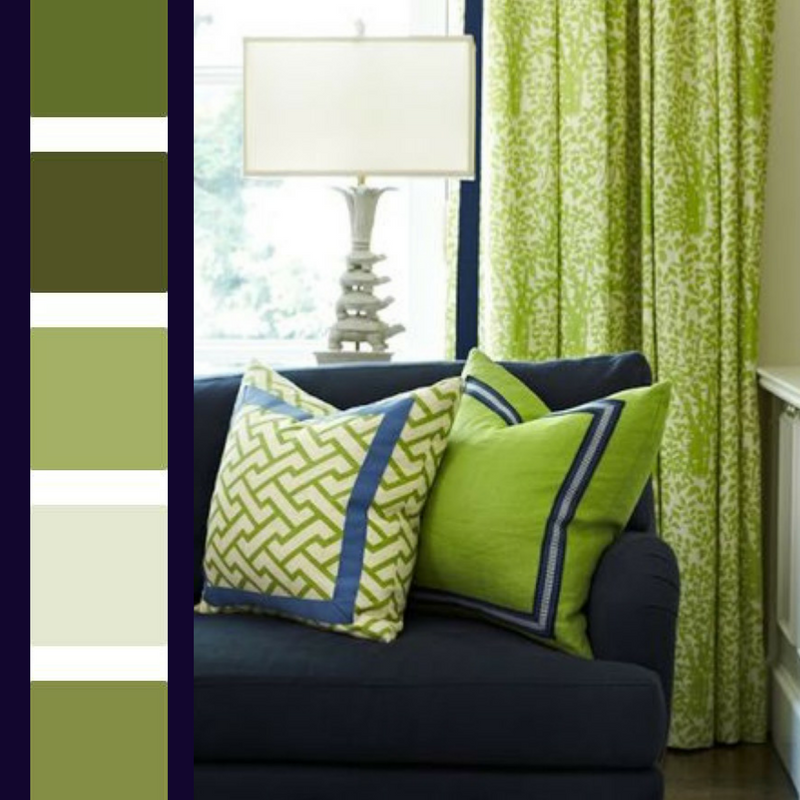 If you don’t want to take navy down the traditional path of white and red, lime green or chartreuse is a great option. Its fresh, fun and lively and will have impact in small doses. Feminine and masculine tones collide in this colour combination. 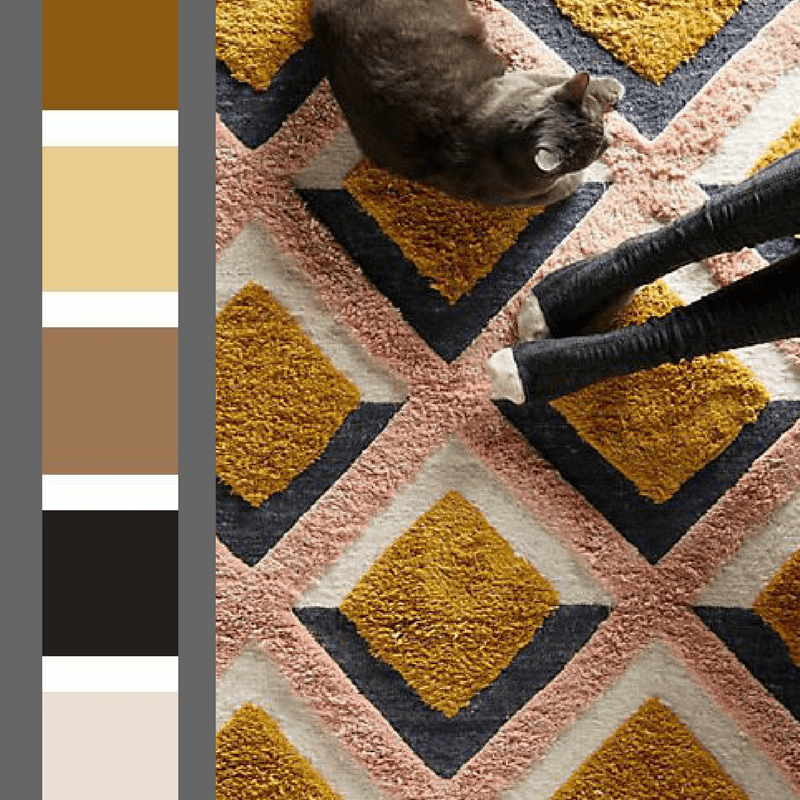 Tan, charcoal and pale pink sit comfortably together as shown in this rug. 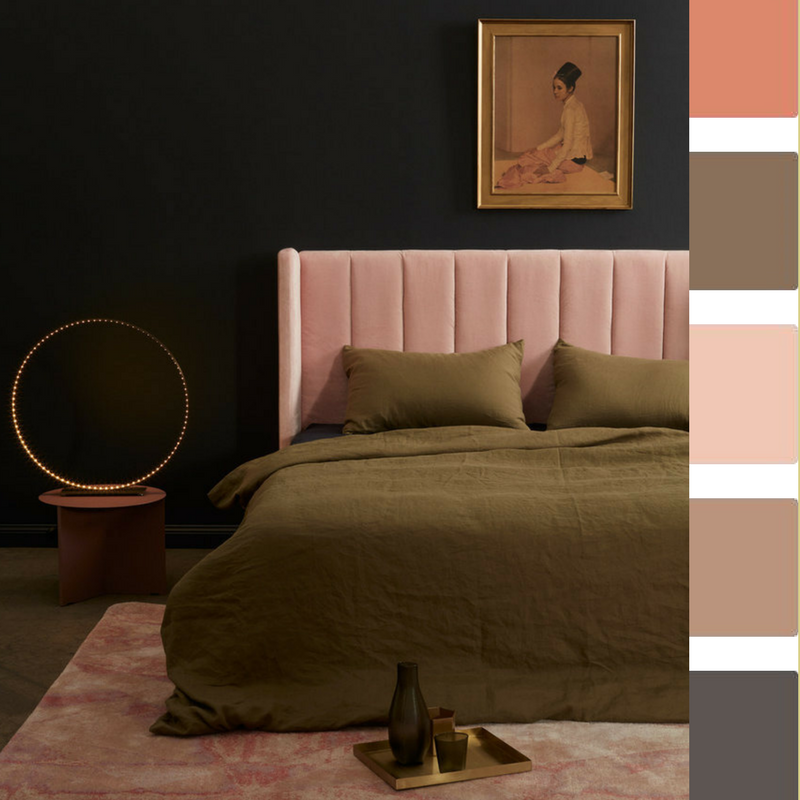 The tan and pink could clash with their similar depths of colour, but the charcoal is the mediator tying it all together with its darker tone. This is a fun, happy pair of colours. Although very similar in colour, once you change the intensity of one, the pairing sits more comfortably together and doesn’t appear to fight with one another as much. Throw in lots of white the combination comes to life. Throw in hints of purple or grey, the palette takes a more sophisticated road. Next Next post: Dining room decorating ideas to take your space to the next level….